 KNOXVILLE, TN (Nov. 28, 2018) – Big Brothers Big Sisters of East Tennessee will host a Holiday party for mentors (Bigs) and their mentees (Littles) on Saturday, Dec. 1. The sixth annual BBBS-ETN Match Holiday Party, sponsored by Altar’d State, takes place from 11 a.m. until 1 p.m. in the Summit Ballroom at the Crowne Plaza Knoxville. The event is attended by nearly 300 mentors, youth and family members. This year’s party will be Polar Express-themed—matches are encouraged to wear pajamas, and breakfast will be served. When: Saturday, Dec. 1, 11 a.m.-1 p.m.
Altar’d State is a rapidly growing women’s fashion brand with more than 100 boutiques throughout 30 states. Altar’d State’s popularity is growing not only for its inspiring boutique-style shopping experience and on-trend women’s fashion and accessories, but also for its emphasis on giving back to local and global organizations. Through its Give Back and Mission Monday initiatives, Altar’d State donates a portion of all net proceeds to global and local non-profit organizations.